New Zealand's toughest downwind paddle event, Surf ski, waka ama, SUP. A true ocean crossing event in a spectacular location. 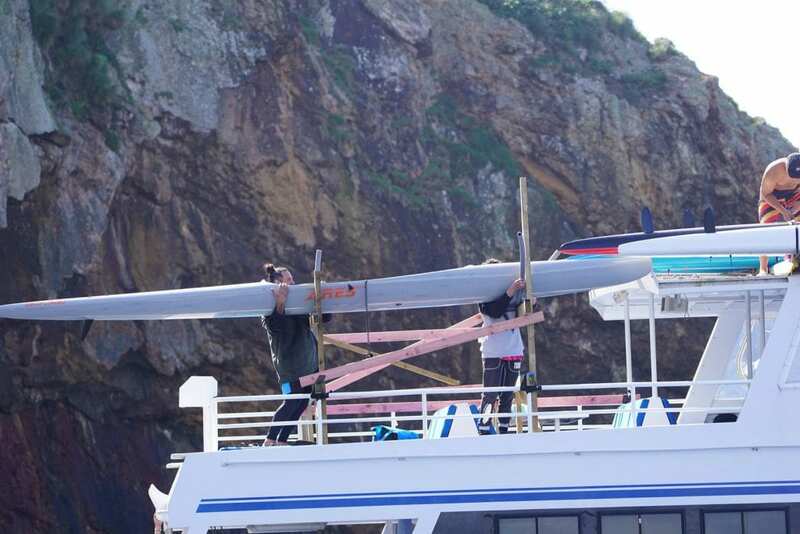 Three of our paddlers (Seb, Jace and Kereama) went north for the Poor Knights downwind race at Tutakaka, near Whangarei. The race was made up of one-man craft, OC1s, V1s, Stand up Paddle boards and surf skis as well as well as OC2s and a couple of OC4s. 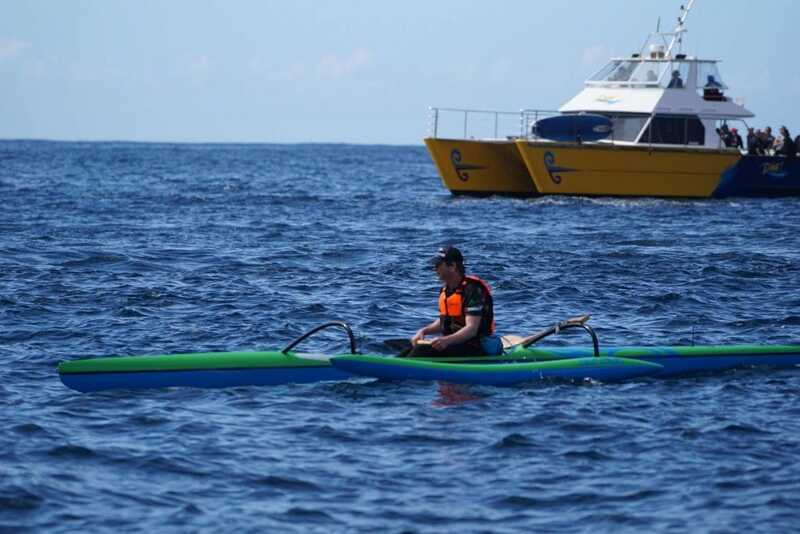 Its a great ocean race for the ocean pacific paddling community. Everyone was in it together shared sense of achievement. Aotearoa New Zealand's toughest downwind paddle event, Surf ski, waka ama, SUP. A true open ocean crossing event in a spectacular location. Starting this year inside Tutukaka Harbour the Zest Brokers Poor Knights Crossing had over 60 craft with 70 paddlers, and 12 safety boats supporting the fleet. After a 25 kilometre battle with the elements, & the ocean, & challenges on mind, body and spirit - paddlers finished in Southern Arch - the largest arch in the Southern Hemisphere. 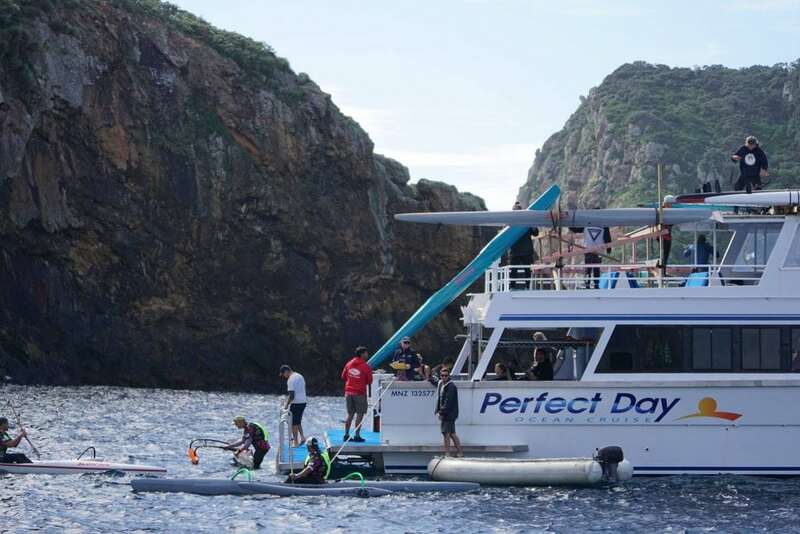 The Poor Knights Islands have immense spiritual meaning as well as ecological significance, and the sheer size and scale of these special motu, gave a spine chilling finale as the paddlers arrived - dwarfed by the arch, and putting into perspective our place on this planet. 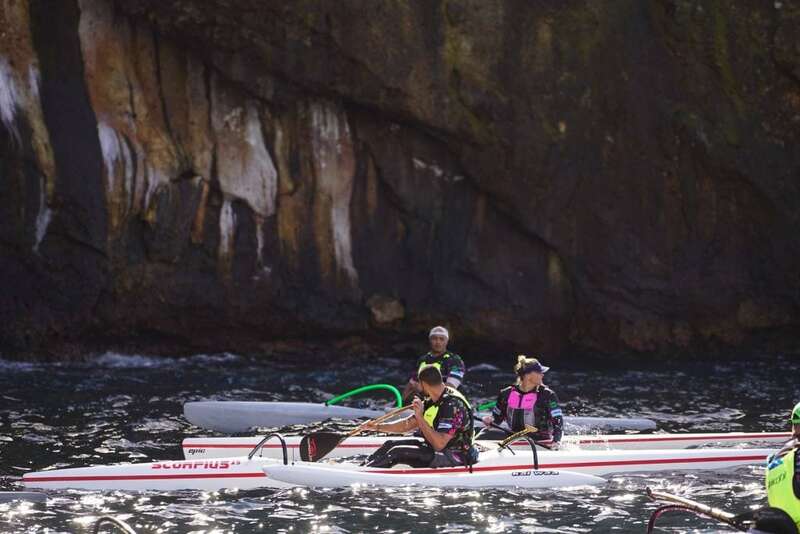 This is indeed an epic race for warriors, and embodies the connections we make as paddlers, kaitiaki, and people of the sea.